“As the guy who discovered Jon Stewart, Ray Romano and a bunch of other star comics I have a sense of who has ‘it.’ Jackie Fabulous has it. I’d watch her do just about anything legal,” - Billy Grundfest (Founder of New York’s “Comedy Cellar”). When Jackie is not on tour, you will find her giving amazing keynote speeches and breakout sessions at corporate events and conferences. A lawyer in her past life, she understands the plight of the working woman. Her signature talks and upcoming book within her hilarious “Find Your Fabulous” series will leave audiences feeling encouraged, uplifted, and inspired to conquer the ups and downs of life and work. 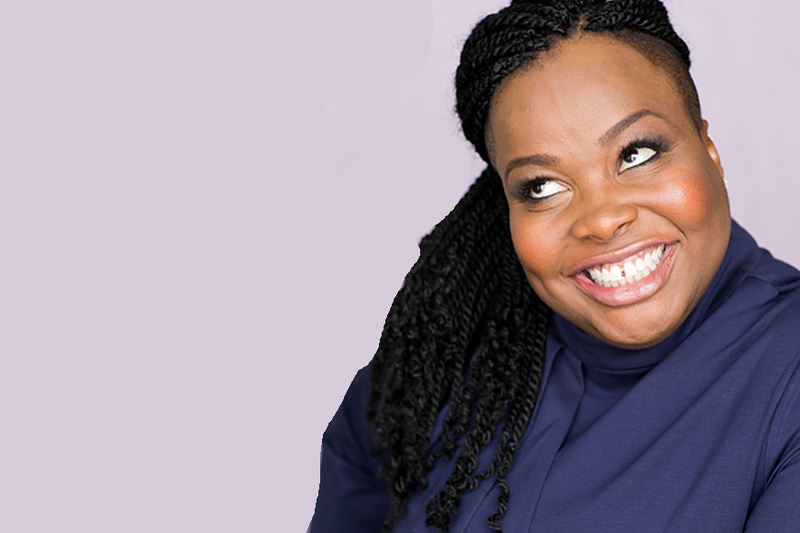 Her diverse style of comedy has allowed her to work with comedy legends like Roseanne Barr and Wanda Sykes and on the OWN Network, NBC, CBS AND FOX to name a few.